To enhance Hunterdon County government services, the County provides an approach to tap into the valuable resources of talent, creativity, experience, education and enthusiasm possessed by the citizens in our community. Volunteers are currently wanted in a wide variety of positions: performing clerical duties, helping on one day projects, driving seniors to medical appointments, straightening and maintaining library materials and enhancing habitats in county parks. Why Volunteer for Hunterdon County Government? Volunteers can help provide enhanced services that otherwise might not be possible. By volunteering you can . . .
Gain opportunities to learn new job skills and work experiences that may be added to your resume. Develop a better understanding of county government, help your neighbors and be a valuable community resource. Get involved in your local government to enhance and enrich government services and the quality of life in this community. Put your experience and skills to good use. Anyone wanting to contribute something . . . working people, retirees, homemakers, college students and young people ages sixteen and older. Persons between the ages of 12 and 16 may volunteer for a limited time, such as 6 months, the summer or a specific number of hours as required by school or other organizations subject to County approval. 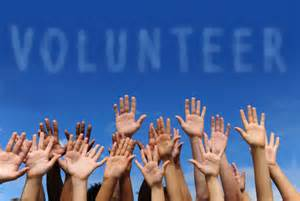 Hunterdon County is looking for volunteers to enhance our ability to provide a wide array of public service to our citizens. Art Goes To School Program- Homemakers, retired men and women, part-time workers, parents, singles, ages 19 to 90, are invited to teach art appreciation to schoolchildren. Learn about famous paintings and their painters in free workshops and then communicate, in your own style, to the most enthusiastic listeners ever - young children. If you (or someone you know) like art and are interested in working with children, in expanding your own horizons of knowledge and visiting art museums and galleries with our enthusiastic group of volunteers, and have a few free hours available during the school year.............WE WANT YOU!! For more information on the Art Goes To School Program, please contact the Hunterdon County Cultural and Heritage Commission at 908-788-1490 or cultural@co.hunterdon.nj.us. Community Animal Response Team (CART) involves a wide variety of people interested in helping animals in disasters. Email OEM Coordinator Brayden Fahey for information bfahey@co.hunterdon.nj.us or call 908-788-1196 . Community Emergency Response Team (CERT) members give critical support to first responders in emergencies, provide immediate assistance to victims, organize spontaneous volunteers at a disaster site, and collect disaster intelligence to support first responder efforts. Email cert@co.hunterdon.nj.us. Hazardous Materials Response Team (HAZMAT) consists of members of volunteers from private industry and the emergency services as well as employees of the Hunterdon County Health Department. The team is fully trained and equipped and is frequently called out for hazardous materials incidents. They also assist in training the members of the local emergency services. Email OEM Coordinator Brayden Fahey for information bfahey@co.hunterdon.nj.us or call 908-788-1196. Technical Rescue Task Force (HCTRTF) is a joint effort between Clinton First Aid and Rescue Squad, Flemington – Raritan First Aid and Rescue Squad, Whitehouse Rescue Squad, and the Hunterdon County Office of Emergency Management. The task force was originally organized during 2004. The participating agencies have a significant investment in the task force, including highly trained personnel as well as an extensive equipment cache that is required to respond and mitigate these types of “High Risk – Low Frequency” emergencies. The HCTRTF has operated at a number of incidents within Hunterdon County, and has responded on mutual aid requests to a number of surrounding counties. Email OEM Coordinator Brayden Fahey for information bfahey@co.hunterdon.nj.us or call 908-788-1196. Radio Amateur Civil Emergency Service (R.A.C.E.S.) amateur radio operators who volunteer to provide radio communications for State and local governments in times of emergency. Individuals provide valuable assistance with shelving returned books, shelf-reading and tidying books already shelved, and various tasks as the need arises. Senior Health Insurance Program (S.H.I.P) Volunteer Counselor (908) 788-1361 - Would you like to provide counseling on Medicare and other health insurance plans, or information to people who soon will be eligible for Medicare? If so, become a S.H.I.P. (Senior Health Insurance Program) counselor and attend a training session that will provide all the necessary information. S.H.I.P. volunteers meet with clients every Wednesday morning from 9:30 – 12:00. For more information please contact Pia Rey-Doklan, Field Representative at (908) 788-1361 or prey@co.hunterdon.nj.us. Volunteer Income Tax Assistance - VITA (908) 782-3414 Volunteers coordinated through the UNITED WAY OF HUNTERDON COUNTY provides seniors, people with disabilities and low-to-moderate income individuals and families who need assistance with income taxes and PTR forms. Please contact amy@uwhunterdon.org - 908-782-3414 for information. Volunteer Driver Program (908) 788-1253 -Volunteers wanted to drive Hunterdon County seniors or people with disabilities in County owned vehicles for medical appointments that may be in or out of Hunterdon County. Volunteer Drivers may specify where they do not want to drive. This Office requires Volunteers to have a New Jersey Motor Vehicle Commission background check performed by this Office prior to any volunteer placement and assignment. For more information, please call 908788-1253. Interested in being on one of Hunterdon's Boards, Committees, Councils or Commissions? Click here to find out how.